HFWorks is an antenna and electromagnetic simulation software for RF, Microwave, mm-wave, and high frequency and high speed electrical and electronics devices and circuits. HFWorks solves electromagnetic radiation, electromagnetic waves, electromagnetic propagation, electromagnetic interference (EMI), electromagnetic compatibility (EMC), and signal integrity (SI) problems for RF/MW frequencies and beyond. It uses state-of-the-art finite element solvers and meshing technologies to compute both fields, antenna, and circuit parameters. Field parameters include near and far electromagnetic fields and waves such as electric field, magnetic field, and electromagnetic energy. Antenna parameters include antenna pattern, antenna gain, antenna directivity, axial ratio, and antenna efficiency. Circuit parameters include scattering parameters, impedance, and VSWR. Whether your design involves antennas, RF and Microwave components, signal integrity, power integrity, EMC/EMI, chip-packaging, PCB, connectors, cables, RF MEMS, or filters and whether you use planar circuit technologies, standard waveguides or dielectric guides, HFWorks covers your high frequency field simulation design needs for RF frequencies and much beyond. 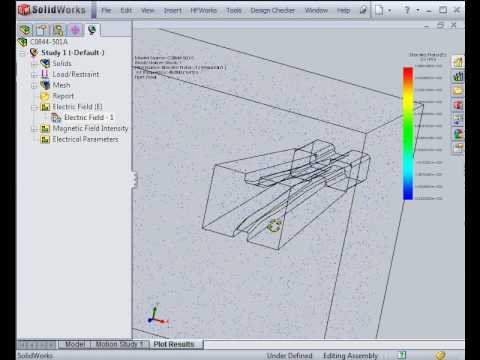 Whether you are interested in frequency response, resonance behavior, electromagnetic interference, matching networks, filtering characteristics, attenuation, electromagnetic radiation, electromagnetic waves, electromagnetic propagation, electromagnetic compatibility issues, you will find this 3D field EM simulation tool accurate, fast, versatile, and easy-to-use. It is an antenna software as much as it is a filter, a resonator, an EMC, an EMI, a passive component, a signal integrity, and power integrity software. HFWorks is equipped with three solvers: Antennas, S-parameters, and Resonance. HFWorks comes with an integrated Thermal Solver. Hence, in addition to the plethora of electrical and electronic design parameters, you can also obtain the temperature, temperature gradient, and heat flux of your high frequency design due to conductor and dielectric losses. 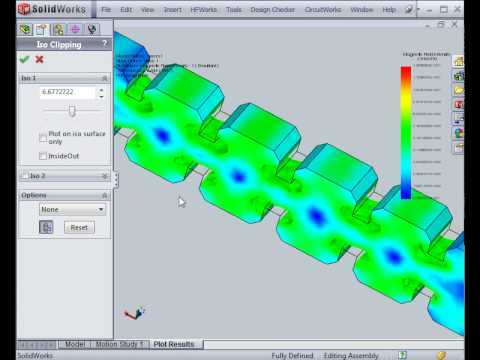 Unlike competing products where you often need to export your heat loads to a separate thermal software, HFWorks offers you a hassle-free coherent environment where you can simultaneously study the electrical and thermal aspects of your design right on the same model with one single finite element mesh. Despite their low power, high frequency devices and circuits can suffer from structural deformation due to thermal stress. The deformed structure can indeed results in distorted electrical parameters which could be significantly different from the original un-deformed structure. 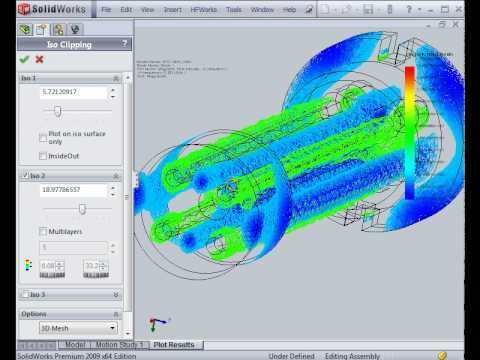 HFWorks captures this intricate design challenge via its integrated electro-thermo-structural coupling. This coupling is easy and hands-free. HFWorks automatically transfers the thermal loads caused by the dielectric and conductor losses to the Thermal solver, which, in turn, calculates the temperature distribution in the structure. The Thermal solver, in turn, feeds the thermal loads to the Structural solver which computes the final stress and displacements that reflect both the electromagnetic and the thermal loads while considering the magnetic, electrical, thermal, and structural constraints. The loop is closed by invoking the high frequency electromagnetic analysis on the deformed structure. The distorted electrical parameters due to thermal stress and deformed structure are thus obtained. 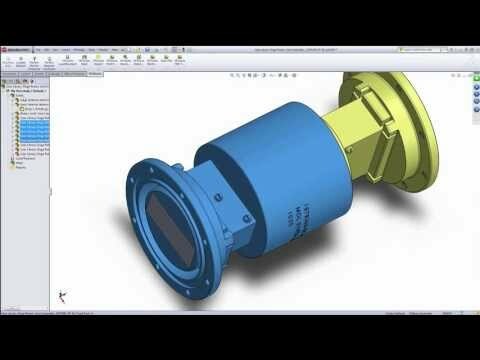 HFWorks is seamlessly integrated in Solidworks and Gold Certified by SOLIDWORKS® Corporation. 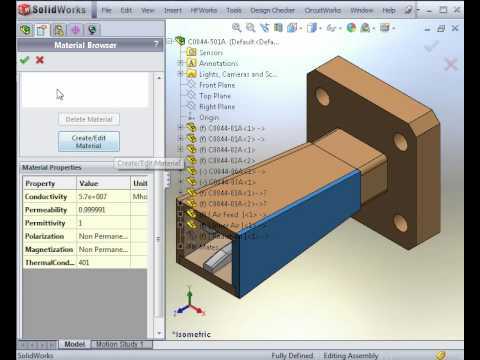 Its seamless CAD integration enables you to analyze the most complex high frequency and high speed electrical and electronics devices and circuits in record time because you do not need to create a special model for the electromagnetic simulation. Don't "reinvent the wheel", simply grab a CAD model from the drafting department or colleague and start your 3D EM simulation instantly. 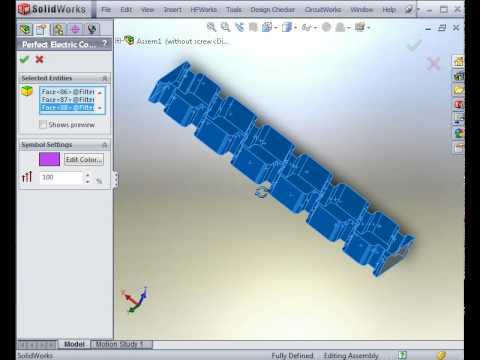 Since it is built on top of the most popular CAD software packages, you can import designs in a wide range of popular CAD and geometry kernel formats including Parasolid, ACIS, IGES, STEP, STL, CATIA, ProE, DXF, DWG, etc,. 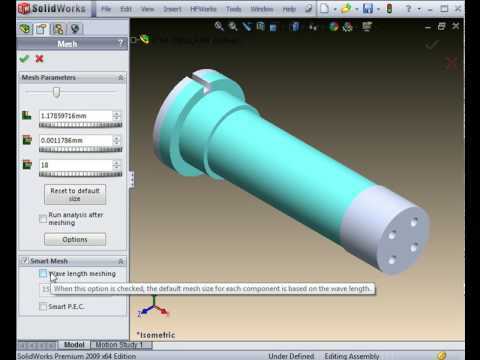 In recent years a burgeoning number of free 3D CAD models -millions- have become available in CAD depositories such as grabcad.com, www.3dcontentcentral.com, and www.traceparts.com. 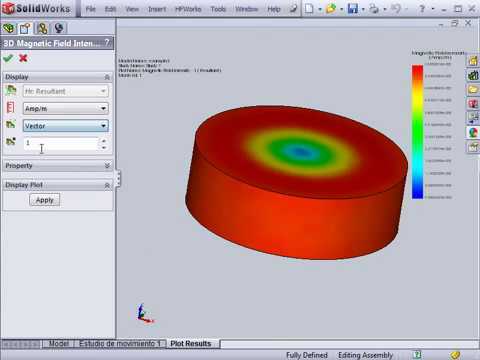 Consequently, you can simply grab a CAD model from the depositories, make necessary changes, and start your high frequency electromagnetic analysis instantly.